Concerned Rexdale parents will converge on the Toronto District School Board on Monday, February 28th to plead for a more democratic decision-making process in the upcoming review of their community’s school capacity and for all children to be given the right to attend their neighbourhood school. Their proposal would increase parent representation and allow for students, school-based staff and community members to elect representatives from their constituencies. For more than a decade Rexdale’s Queens Plate Drive parents residing near Humberwood Downs Junior Middle Academy have been upset that their children must travel to a school in the “high-priority neighbourhood” of Jamestown, which is several busy streets away. Ten years ago school boundaries were changed and the Somali-Canadian families were informed that the school board could not fit everyone into neighbour schools in this rapidly developing area. 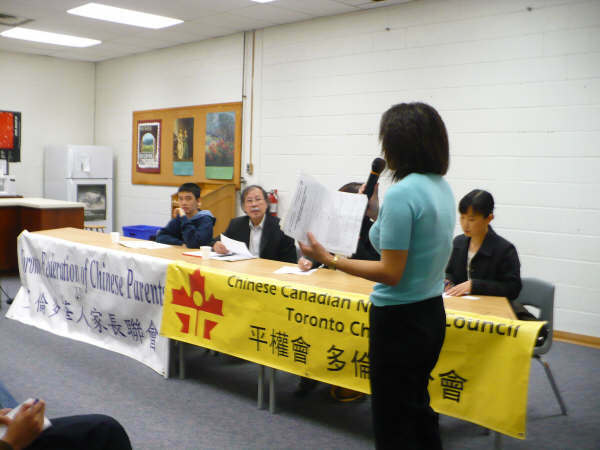 In November 2009, a delegation from the neighbourhood, 50 Somali-Canadian parents and children appealed to the school board to allow their children to attend Humberwood Downs JMA. Parents insist that in 2009 senior staff of TDSB committed to take action on their concerns. Twelve years later 91 children on Queen’s Plate Drive are still barred from attending their neighbourhood school. The parent delegation returns Monday to ask that the restriction be lifted and to present a proposal on the composition of the board-convened committee (an Accommodation Review Committee) which is responsible for determining capacities and needs of five Rexdale elementary schools. The schools under review are Humberwood Downs JMA, Elmbank JMA, Melody Village JS, Albion Heights JMS, and Greenholme JMS.